Photo by Josh Hughes Parkersburg’s Cameron Hanshaw surveys the action during a No. 1 doubles match with partner Bairavi Sundaram against South’s Kendall Mader and Taya Davis Monday at City Park. The Big Red duo took down the Patriots, 8-2. 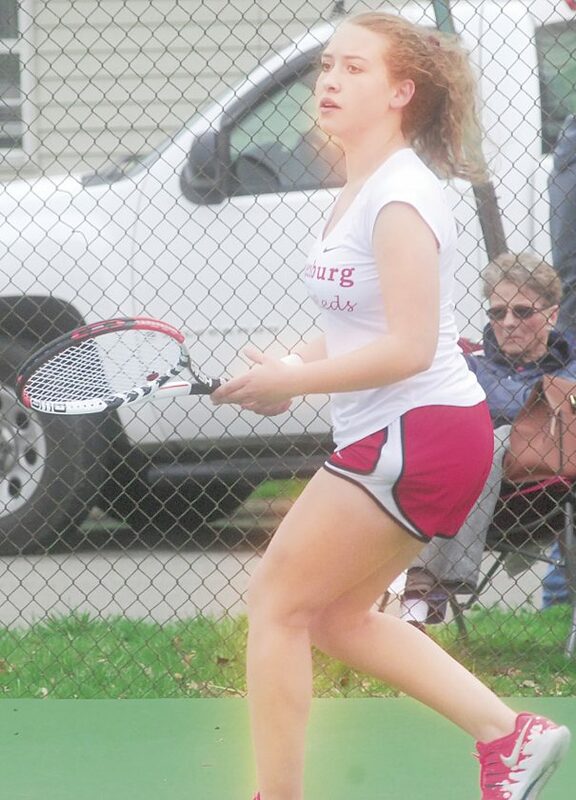 PARKERSBURG –Despite rain earlier in the forecast, there was still tennis to be played at the Parkersburg City Park. 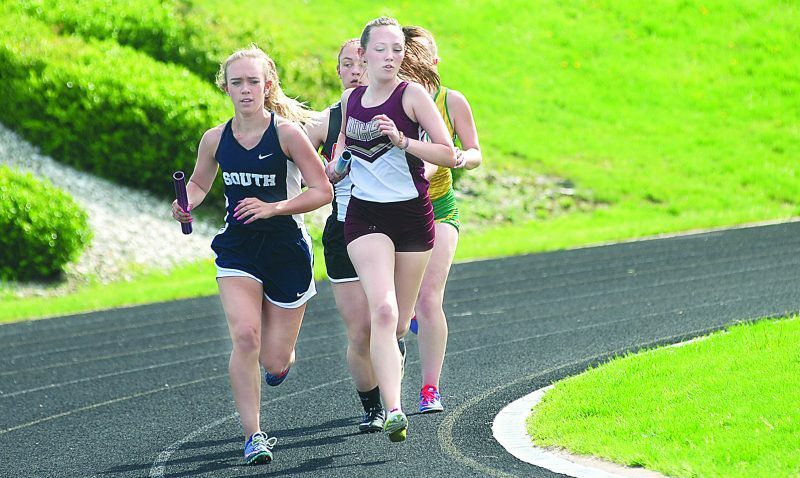 The Parkersburg Big Reds and Parkersburg South Patriots finally found time to duke it out for crosstown supremacy, as the Big Reds came out on top at the end of the day. The duo of Bairavi Sundaram an freshman Cameron Hanshaw battled the South pair of Kendal Mader and Taya Davis in doubles action. Despite an 8-2 win for Sundaram and Hanshaw, this match featured high drama in the early going. The teams kept serve through the first two games of the match, 1-1. Then, the Big Reds had to come back from an early deficit. Down 40-30 in game 3, Sundaram and Hanshaw held serve by winning the next four points. That momentum-building win sparked the duo to handily win the following game and break serve in the process. In spite of Mader and Davis’s best efforts, they couldn’t string together enough points to rally, as the Big Reds got on the board to start the day. That would be a recurring theme for PHS, as it continued to win over its southside counterpart. Sundaram faced Mader in one-on-one action, as this match yielded similar results to their doubles encounter. Following an 8-2 Sundaram win, it was time for Brylee Jackson in her first singles match of the day. 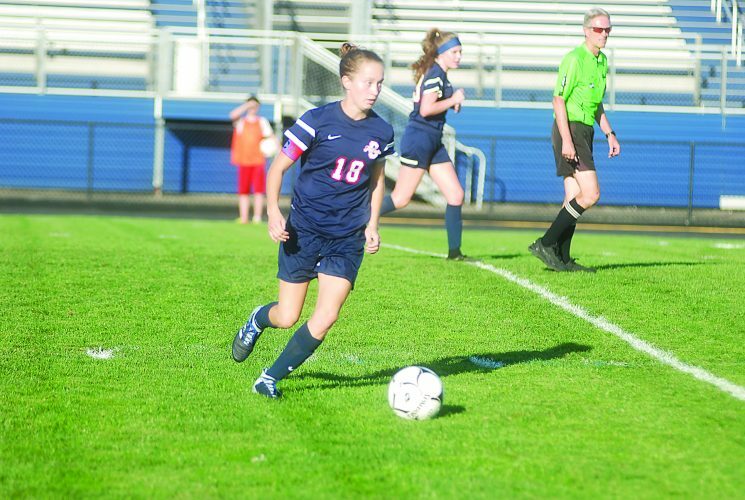 She worked together with Laurel Sanders to take down the team of Jaedyn Ransen and Bri Miihlbach in an 8-0 shutout, and she was primed to face Taya Davis. Davis looked to bounce back from her early loss, but she couldn’t get herself out of an early hole, falling 8-2. Sanders continued her winning ways with an 8-0 shutout win over Miihlbach. 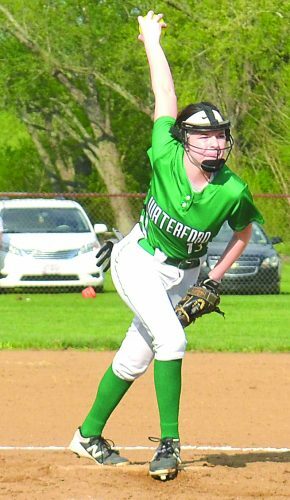 Meanwhile, Kelsie Sanders made like her sister with a similar result in doubles action. She teamed with Farrah McGinnis to defeat the South team of Reganne Thomas and Josie Harrison, 8-0. On the subject of the victorious Sundaram-Hanshaw pairing, PHS girls’ coach Heidi Asbury was pleased with that result. She wants to continue to see what pairings work, as she’s not afraid to experiment. 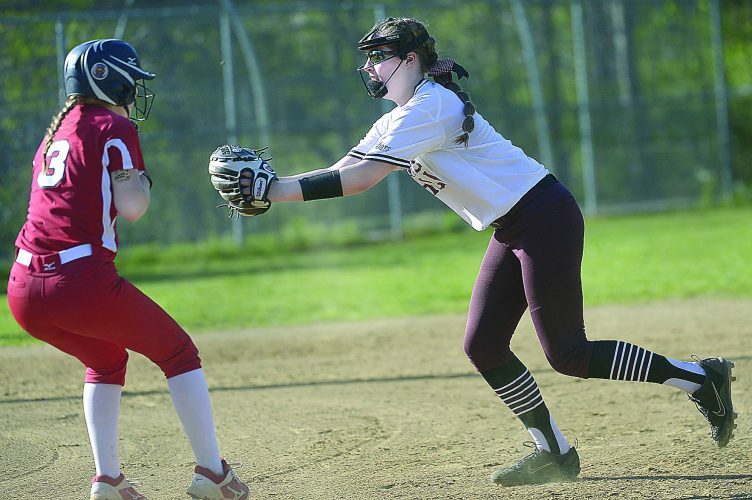 Asbury’s other doubles units did not disappoint, as she spoke well of them. “The other two doubles teams I put together, I really like them. I think we’re going to be well-positioned in the region. From one team prepared to set its footing in the region, to the next, the PHS boys swept South in both singles and doubles matches throughout the afternoon. Nick McBride blanked Jarvis Ramsey, 8-0 in he first boys’ singles match. Jaxen Ranson followed suit with an 8-0 win over Devon Martin. The young South duo couldn’t get over the hump in their doubles match, as they were defeated by Canyon Alkire and Matt Pierson, 8-0. Parkersburg has its work cut out for it, as they go into this weekend facing the likes of Huntington, Cabell Midland and Hurricane. 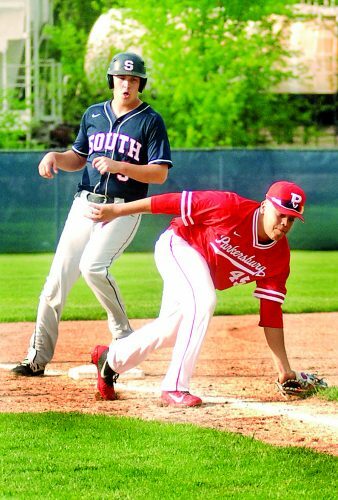 Parkersburg South looks to bounce back in a home contest versus Spring Valley at 4 p.m. They then welcome Ripley to the Erickson All-Sports Facility at the same time on Thursday.